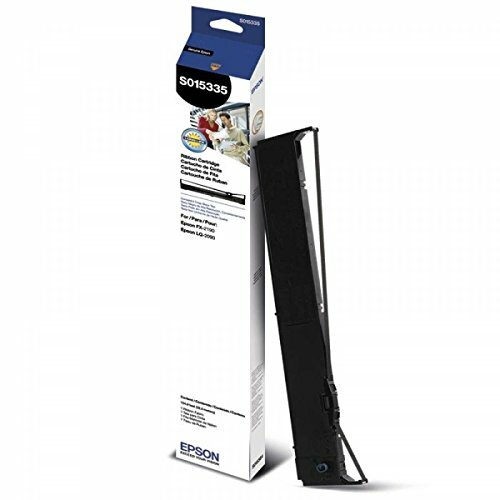 Epson FX 2190 LQ 2090 Black Fabric Ribbon (12M Characters). Designed and engineered to meet the demands of Epson's fast high performance impact printers genuine Epson ribbons deliver consistently crisp black output time and time again. Long-lasting and easy to install Epson ribbons provide longer life and better character definition than imitation supplies. Remember Epson supplies guarantee Epson quality .Epson FX 2190 LQ 2090 Black Fabric Ribbon (12M Characters). OEM Ribbon Black 12000000 Characters.